Searching for a comfortable sedan that’s appealing inside and out? The 2018 Toyota Corolla has interior features that set it apart from the competition. If you’re looking to carry more cargo than a conventional trunk allows, the Corolla’s adjustable split-folding rear seats have you covered. Choose between fabric, premium fabric, and SofTex upholstery for your front seats, and up to 8-way power adjustments for the driver’s seat. Set your desired temperature and forget about it with automatic climate controls. Easy to use buttons provide precise adjustments on hot Madisonville days. 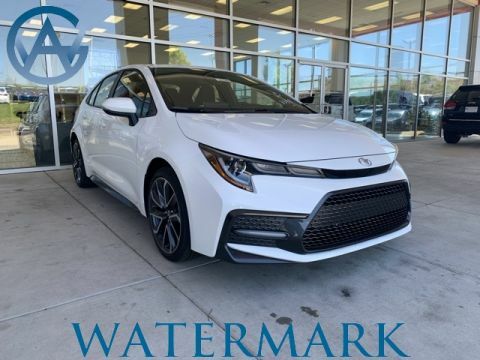 Upgrade the interior of the 2018 Toyota Corolla with chrome-plated instrumentation, a leather-trimmed steering wheel, and paddle shifters for a manual-like driving experience. The 2018 Toyota Corolla interior is designed to keep you and your passengers happy on long trips from Madisonville. Compare the Toyota Corolla to the Ford Focus before you visit Watermark Toyota. 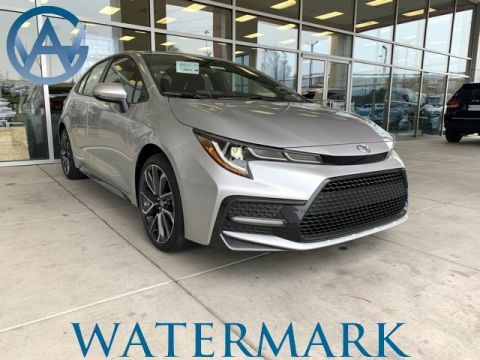 Our Watermark Warranty provides even more protection than a standard Toyota new-vehicle warranty, and you can schedule a test drive to try out the Corolla for yourself.